Gamifying is fun. It’s incentivising. It’s a classroom management strategy. Gamifying is the way many apps, programs, and even businesses are starting to work. 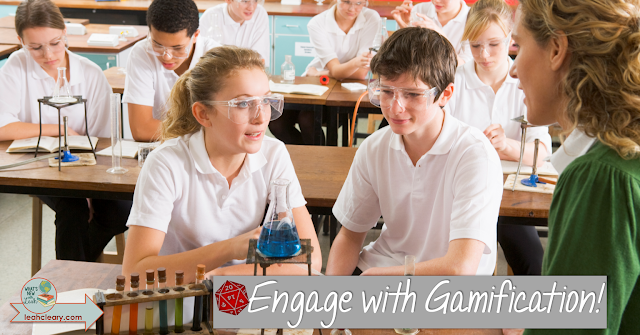 Gamifying is not simply playing games in your classroom. In short, gamifying is incentivizing desired behavior with points, levels, and rewards. Let’s say you teach a math class, and you want your students to bring their notebooks and pencils (or 1:1 devices) every day. Give them a point for doing that. These points don’t go into the gradebook, though. They’re part of the larger game around which you have structured your classroom. After a certain number of points, students will move up a level, or “level-up.” Each level holds with it a desired privilege. That privilege can be a simple reward or “skill” that the student now possesses. Each level is associated with a badge. This is how video games work. It’s how various apps that incentivize weight-loss and healthy lifestyles work (think about the badges you earn on your Fitbit). This is the way many offices work, as well, so it’s no wonder that classrooms are headed in the same direction. I’ve been in the classroom for 15 plus years, and I believe I have a pretty good grasp on the management side. I’m good at developing a rapport with my students and at making my lessons engaging (I hope). What’s more, I’m not a very organized person, nor am I a gamer. So why does gamification make sense for me? Gamification is the direction the world is heading for a very simple reason--because it works. It works because it combines the right amount of collaboration with competition. It recognizes progress over grades, effort over results. It makes it okay to try and fail because badges, rewards, and recognition come from the effort--the process. We don’t always have to be perfect in a gamified classroom. I hate exercising, but I know I should do it because it’s good for me. But that knowledge had not been enough to get me to do it in the past. When I bought a Fitbit, I could see tangible results for the progress I had made. I would earn badges for taking extra steps. Seeing the steps my friends had taken on a given day encouraged me to take more. I’m cheering for them, but I’m also competing with them. I may not see immediate physical results from taking 10,000 steps in a day, but I will see fireworks on my Fitbit. Those fireworks give me an immediate sense of accomplishment, and I want to keep on because that makes me feel good. Accomplishing goals, solving problems, working with others, and being recognized releases the dopamine that encourages me to keep going--even when I don’t necessarily feel like it. Transferring this idea to your classroom can make your students feel the same way. It might seem overwhelming at first, but it's definitely worth it in the long run. Below I've listed resources that will help you get started gamifying today. This is my simple method, complete with instructional video, organizational spread sheet, note and planning sheets, editable classroom templates, and example. You can use classroom technology...or not. 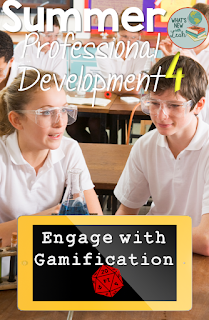 This video explains why gamification is the wave of the future in the classroom, office, and beyond. 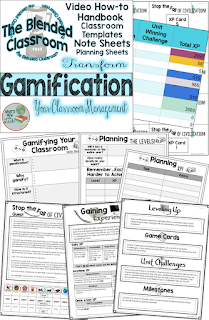 This article provides specific ideas for gamifying your classroom. 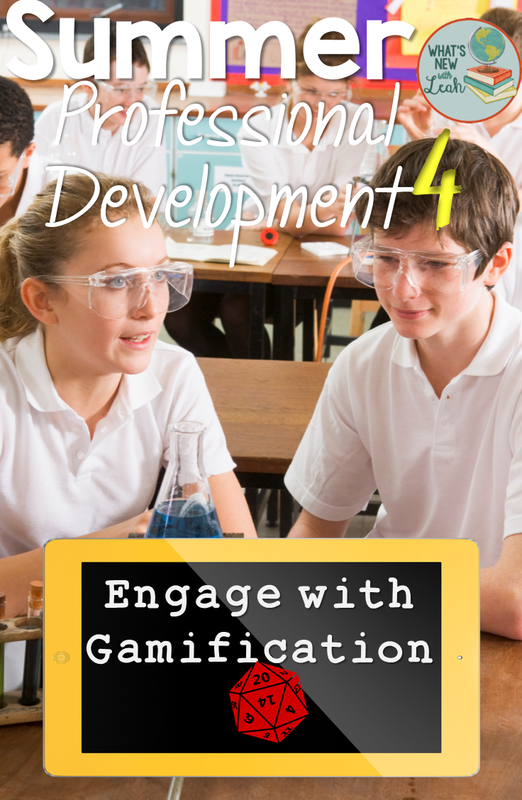 Here are examples of gamification in the classroom. Classcraft is a great tool for gamifying--especially in middle school. Most teachers I've spoken with find it a bit complicated but like it once they learn how to use it. Success doesn't come from playing it safe, but standardized tests and grades in school reinforce in our students that it does. It's time to turn that notion on its head. Since I don't tie gamification in my classroom to grades, it helps students do just that: Take risks. Fail. Try again. Be creative. Students earn experience points (XP) by coming to class prepared, being on time, completing creative extension assignments, problem-solving, coming in for extra help, retaking tests and quizzes, and so on. 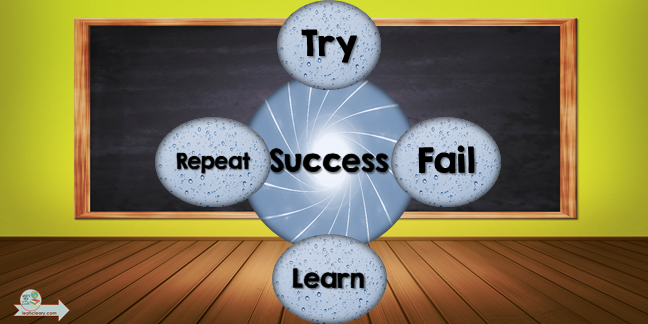 Gamification naturally fosters a growth mindset. So don't be afraid to try gamification. It won't be perfect at first, but that is how we learn. Do you gamify? How do you implement it? Leave a comment below and let me know!